The BrahMos supersonic missile develops a speed of Mach 3. Talks with countries like UAE, Chile, South Africa and Vietnam are in advanced stages. 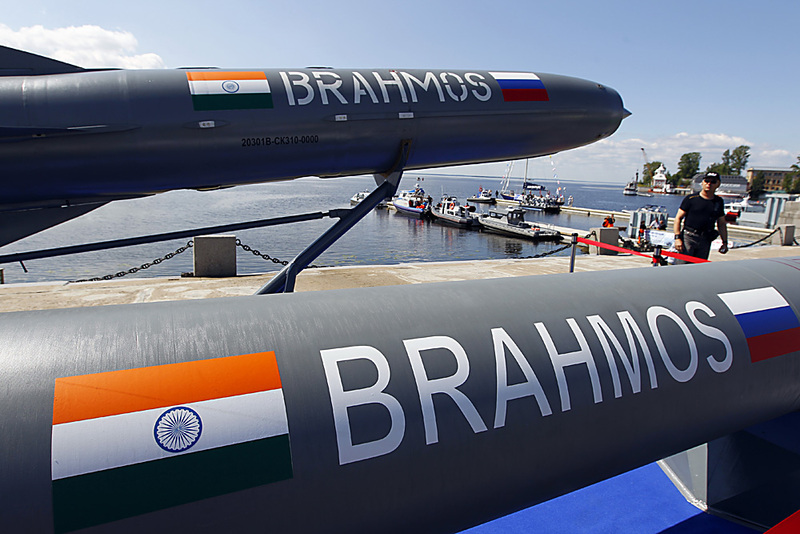 India and Russia have agreed 'in principle' to export the world's fastest anti-ship cruise missile, BrahMos, to third countries - the UAE, Vietnam, South Africa and Chile, Praveen Pathak, spokesman for BrahMos Aerospace - the developer of the missile, told TASS on Friday. "The several structural changes were made in the defence exports policy and these were yielding results. As far as the BrahMos missile is concerned, talks with countries like UAE, Chile, South Africa and Vietnam are in advanced stages," he said. "Since Russia is the partner country in the BrahMos joint venture with its consent discussions with several other countries, including Philippines, South Korea, Algeria, Greece, Malaysia, Thailand, Egypt, Singapore, Venezuela and Bulgaria have now been taken to the next level," he said. According to him, "BrahMos Aerospace is expected to ink the deal with UAE by the year end as both India and Russia have good relations with the country and there is conflict of interest there, hence there will no problems in exporting the missile to that country." "In the case of Vietnam, China has expressed its reservations against India's policies to supply weapons. In the South China Sea, China and Vietnam are locked in a conflict over maritime boundaries. We expect that those friendly nations with whom neither India nor Russia have any conflict would be keen on buying these missiles," he said. BrahMos was developed jointly by India’s Defence Research and Development Organization (DRDO) and Russia’s NPO Mashinostroyenia (NPOM), which in 1998 established the company BrahMos Aerospace. The name BrahMos is a portmanteau formed from the names of two rivers, the Brahmaputra of India and the Moskva of Russia. The BrahMos supersonic missile develops a speed of Mach 3. An upgraded model capable of reaching Mach 6 speed is currently being tested. According to BrahMos Aerospace, the missile has flight range of up to 290 km with supersonic speed all through the flight, leading to shorter flight time, consequently ensuring lower dispersion of targets, quicker engagement time and non-interception by any known weapon system in the world. It operates on ‘Fire and Forget Principle’, adopting varieties of flights on its way to the target. Its destructive power is enhanced due to large kinetic energy on impact. Its cruising altitude could be up to 15 km and terminal altitude is as low as 10 meters. It carries a conventional warhead weighing 200 to 300 kg. Compared to existing state-of-the-art subsonic cruise missiles, BrahMos has: 3 times more velocity, 2.5 to 3 times more flight range, 3 to 4 times more seeker range, 9 times more kinetic energy. The missile has identical configuration for land, sea and sub-sea platforms and uses a Transport Launch Canister (TLC) for transportation, storage and launch.